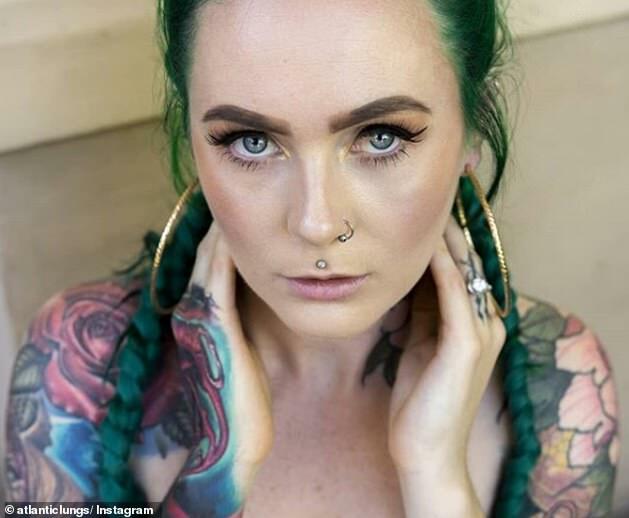 A doctor with tattoos all over her body has revealed the challenges and judgement she has faced over the years because of her heavily inked body. 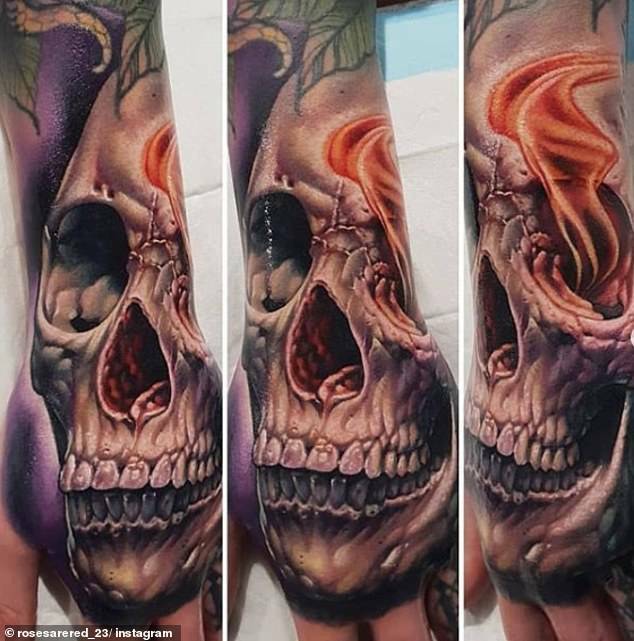 Dr Sarah Gray, from Adelaide, has always been intrigued by body art and got her first piece of ink when she was 16. 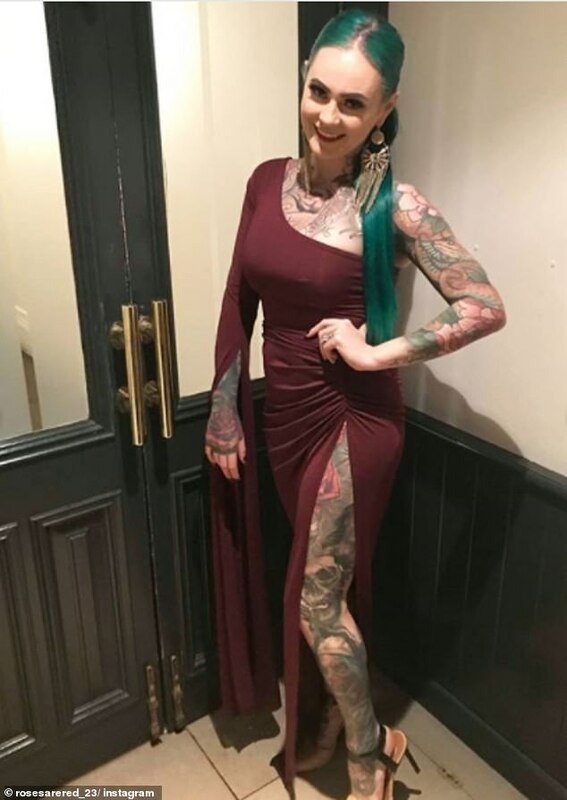 The 30-year-old said she's now 'the world's most tattooed doctor' and is seen as a positive role model within the tattoo community, but this doesn't mean she hasn't had to deal with adversity. Like the film Pretty Woman, Dr Gray said she has been ignored by shop assistants in high end stores. When she was hunting for a pair of designer heels for her birthday three separate shop assistants paid no attention to her when she was wanting a correct size to try on. 'They all served other customers first and wouldn't even make eye contact with me,' she told Daily Mail Australia. This isn't the only time she's been treated differently as she said something similar happened when she once went for lunch with her husband. 'I was out for lunch in a restaurant with my partner on the Gold Coast when we were seated at a table,' she said. She revealed that previously her and her friends have even been denied access to a casino due to their visible tattoo policy. When this happened it was after a body art expo, so the majority of them were heavily tattooed. After being seated for lunch management then came up to us and asked us to leave as they had a "no visible tattoo policy" for diners. 'I was able to discuss my concerns for unfair discrimination based solely on our appearance with management and they bent the rules to allow us access,' she said. Originally Dr Gray had only planned on collecting a few small pieces of ink from specific artists as well as a large scale back piece but slowly her collection grew. She never thought she'd have a body suit when she first started but now she's close to completion. Dr Gray refers to herself as an 'art collector' as instead of hanging art on a wall she wears it on her skin. She said she isn't fazed by the tattoo process and is easily able to sit in a studio for upwards of 12 hours in any one session. 'I don't enjoy the pain (although it's more of an annoyance that you adjust too) but I certainly enjoy the outcome,' she said. Dr Gray disagrees with those who call it an addiction because she said could give it up if she needed to. 'I think it is possible to catch the "tattoo bug" where you start with one piece and find yourself drawn to wanting more,' she said. 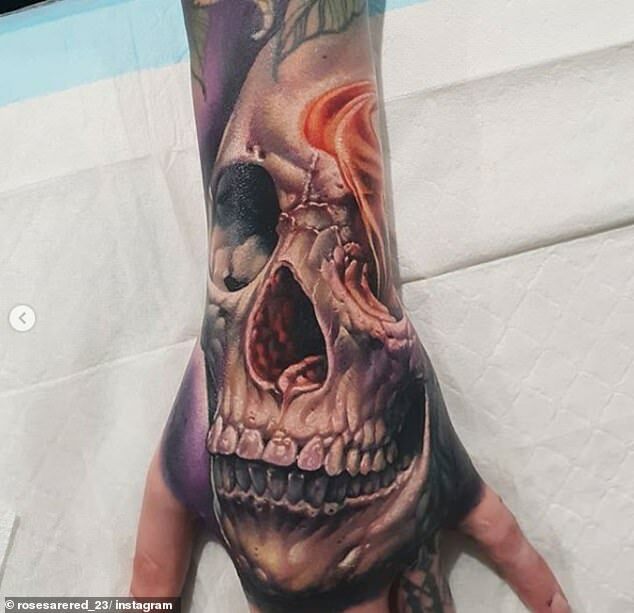 The doctor explained that she thinks the reason people want more tattoos after they get their first is because it's a good way for them to wear their personalities on their skin. 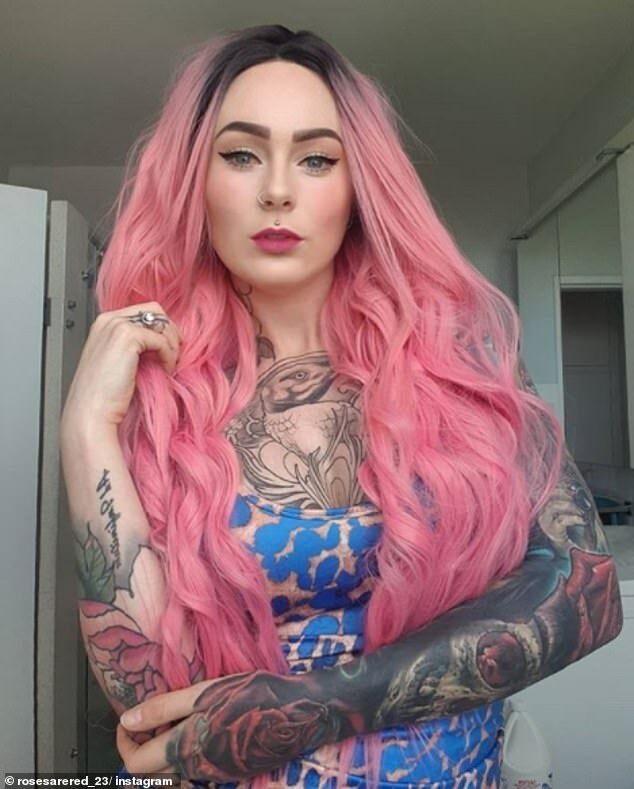 Dr Gray said tattoos have definitely helped her find positive body confidence because they have allowed her creative expression of her individuality. Dr Gray doesn't know how many tattoos she has because rather than having individual pieces her body is now a cohesive canvas. 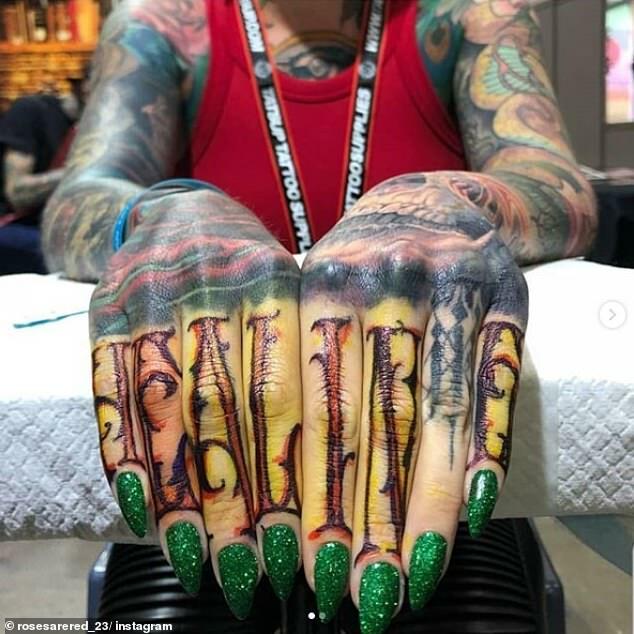 She does know that she has spent more than 300 hours of her life being tattooed. Dr Gray aims to complete her body suit and she only has a few small gaps to fill before she's all done. 'My tattoos don't all necessary have personal meanings behind them, some I had no say in the design process as I admired the artist's work and pursued them for a piece as a collector,' she said. 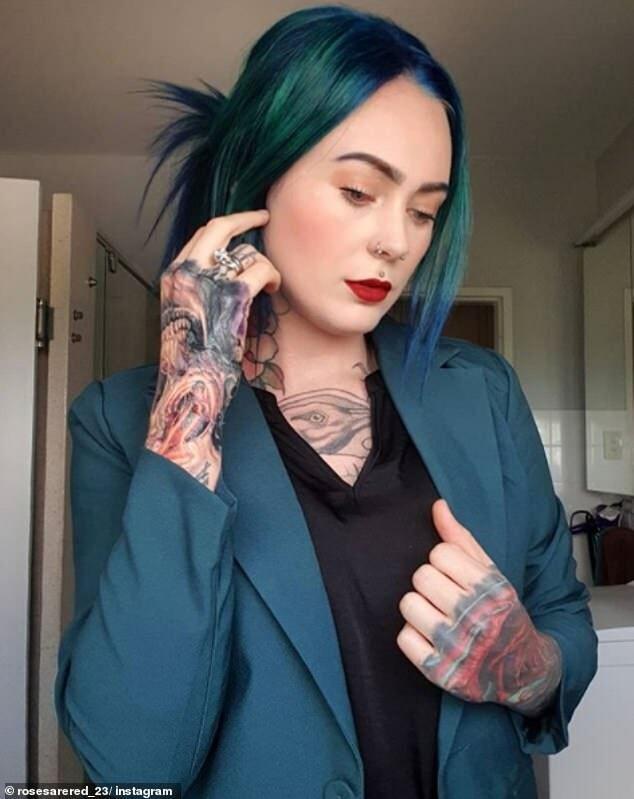 Although negative situations have eventuated because of her tattoos, Dr Gray said being tattooed has also affected her life in a positive way. 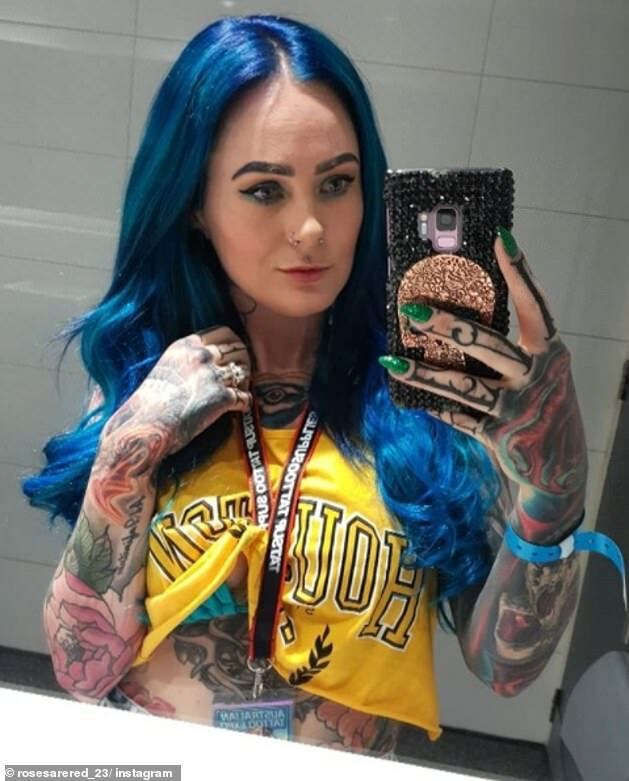 'Through the tattooing industry I found my soul mate, I have friends scattered all around the world and I'm able to be a positive role model for those around me as a colourful professional in a traditionally conservative industry, like medicine,' she said. 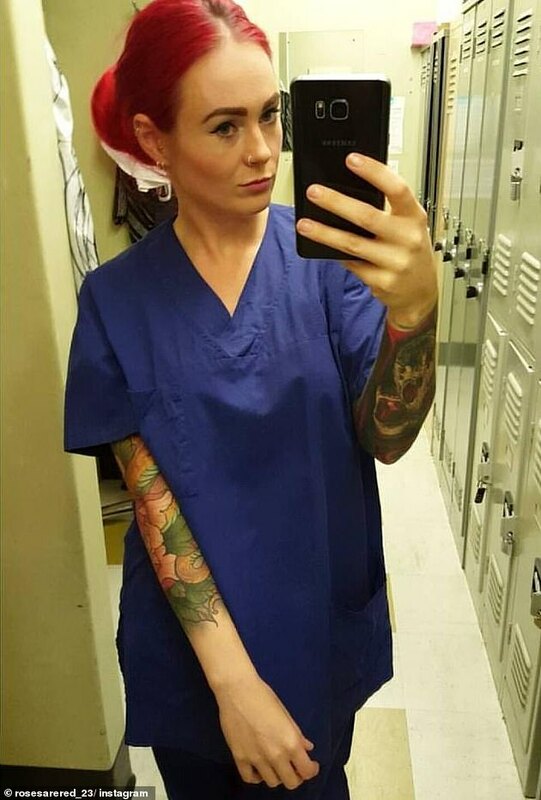 When she went through medical school she was conscious of having visible tattoos as she feared colleagues and patients wouldn't take her seriously. She has since found out that people's views of body art in modern society are very different to what they used to be. 'Having colourful skin in no way affects your skill level and with all the anti-discrimination laws now it wouldn't be appropriate to compartmentalise or treat me differently based on my appearance,' she said. Dr Gray said that being so colourful has acted as a great conversation starter and people often find her quite approachable. 'Sometimes people will inappropriately grab your arms though which is a massive overstep of a personal boundary, so don't be that person,' she said. 'Occasionally someone disapproving will say a negative comment under their breath or shake their head at me, but these situation are rare,' she said. 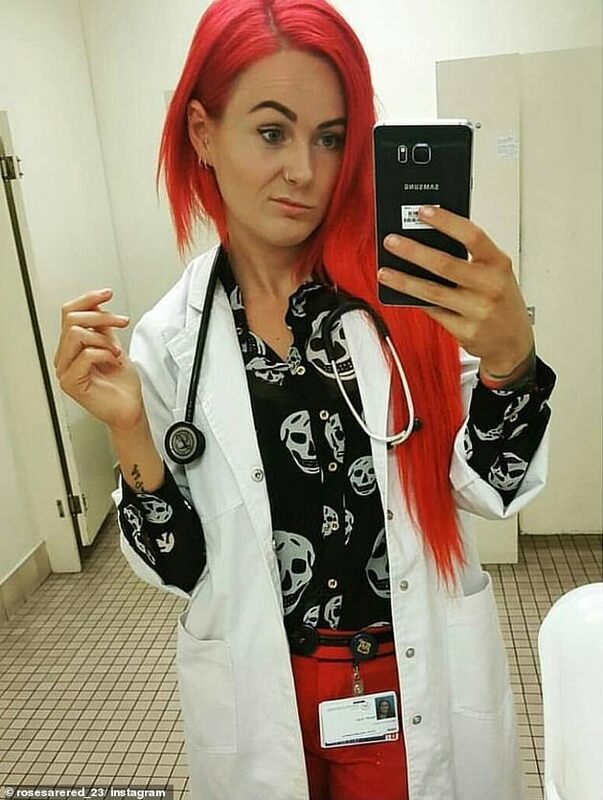 Dr Gray, who was previously crowned Miss Inked Australia and New Zealand, has just gained her medical degree and has career aspirations to be an orthopaedic surgeon. She hopes being in the public eye will help teach people to not judge a book by its cover. The young doctor said the days are gone where tattoos represent criminals or unsavoury behaviour. 'We should all be able to love the skin we're in, regardless of how we choose to decorate it,' she said.